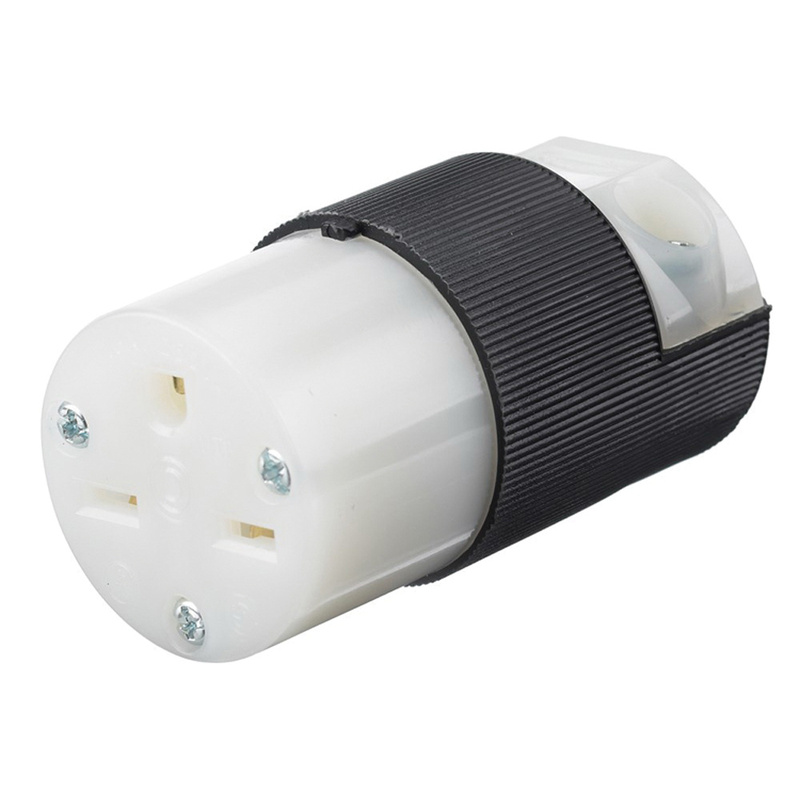 Hubbell-Wiring Insulgrip® Polarized straight blade connector comes with individual wiring terminals that completely enclosed. The powerful, offsetting cord grips clamp on individual conductors. It comes with clear polycarbonate terminal retainer, brass terminal screws, nickel-plated steel terminal clamp and assembly screws and has beveled housing that prevents snagging. This chemical- and impact-resistant straight blade connector meets UL listed to UL498 file E1706, CSA certified to C22.2 No. 42 File 280 standards.